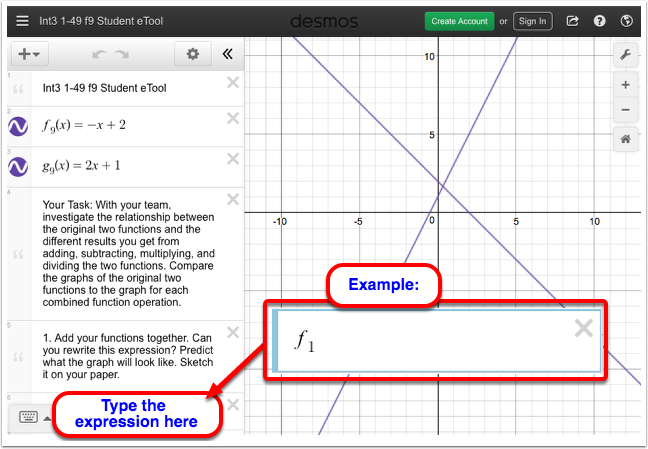 Click on the links below to access each eTools. 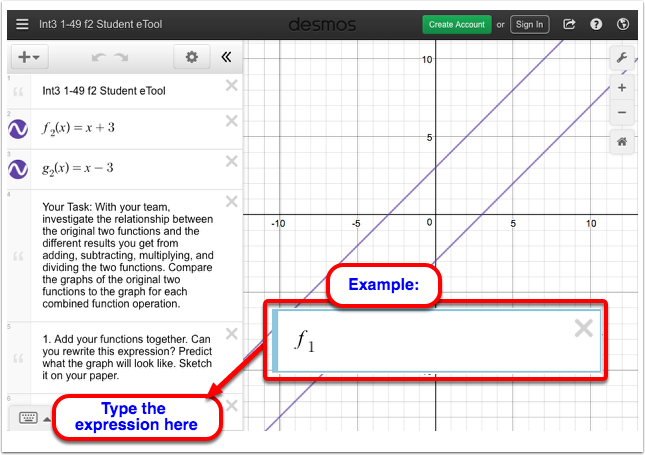 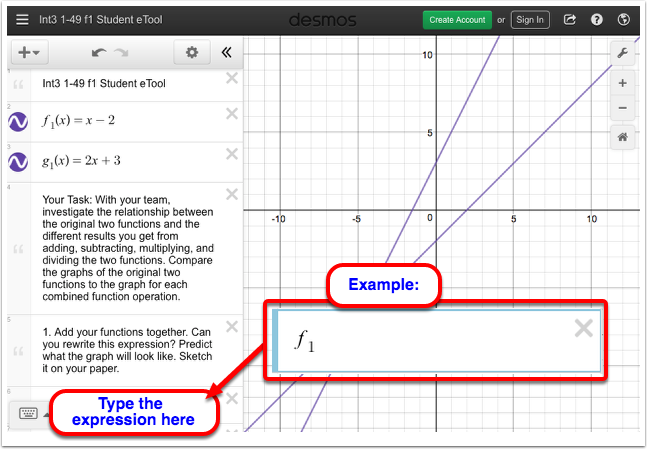 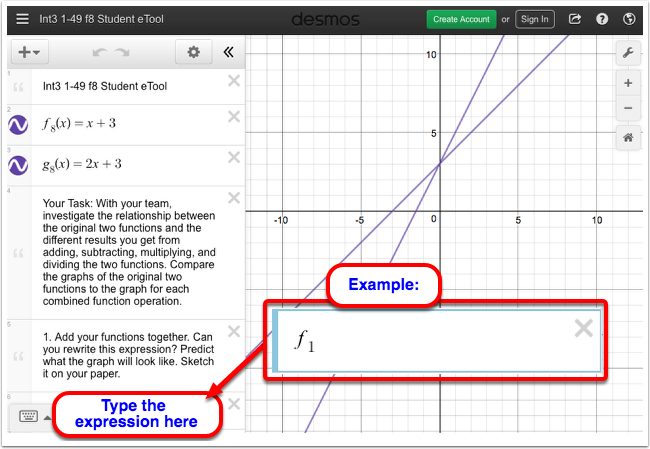 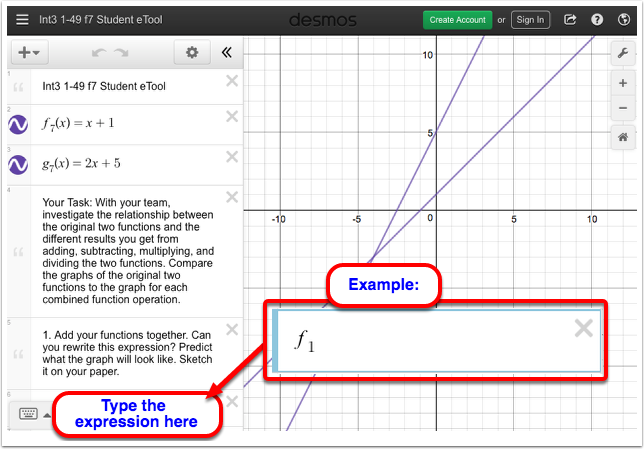 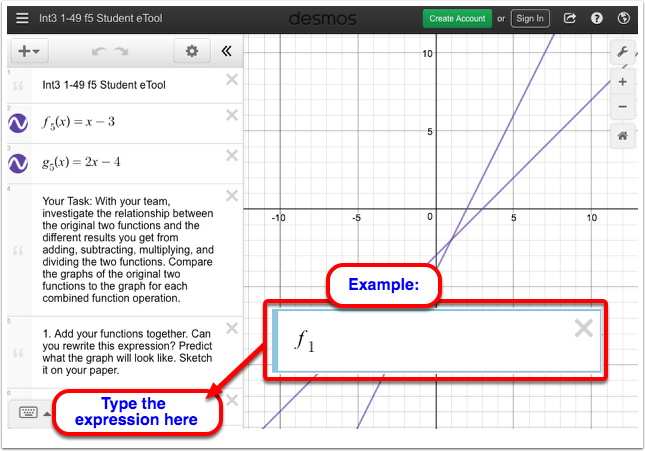 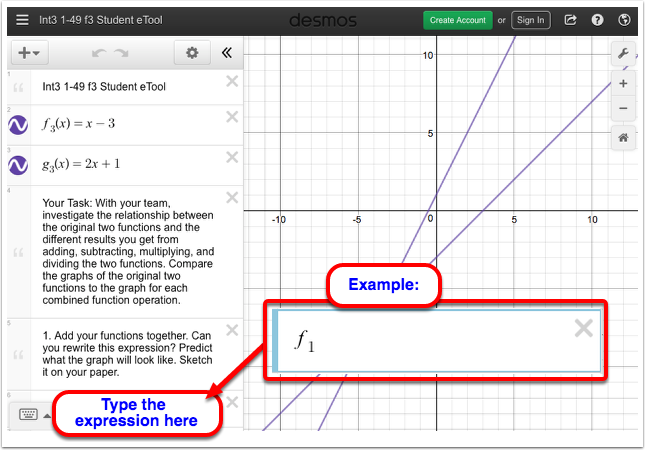 Use these eTools to investigate the relationship between the original two functions and the different results you get from adding, subtracting, multiplying, and dividing the two functions. 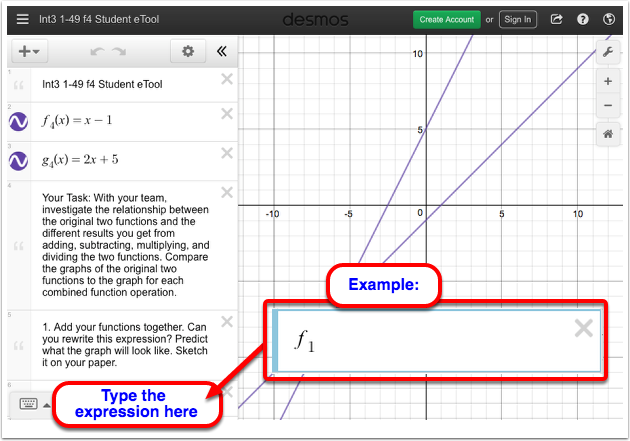 Enter the expression in each expression line. 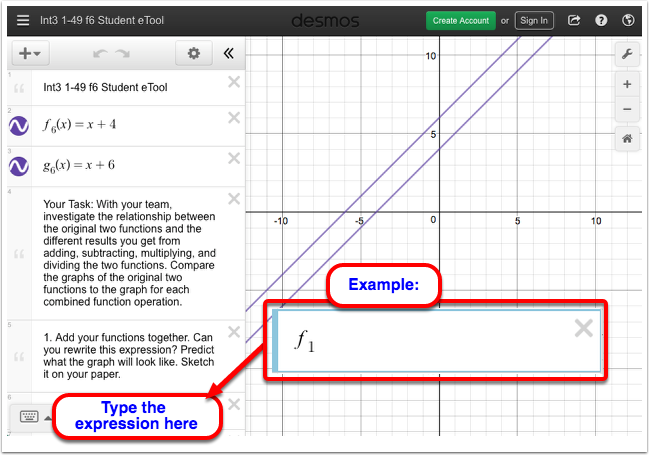 NOTE: To enter the subscript number, type "_<number>.